I woke up and we were at almost $8,000. Then I blinked and here we are. Three and a half days and we’re at $10,000. WHAT THE WHAT, YOU GUYS?! Let’s not stop though. I want everyone who wants to, to have an opportunity to be a part of this year’s Make Room for Kids effort. That way in April, when I post my install day post and I show you all the loot we delivered to AGH and the cancer unit at Children’s, you’ll be able to know you helped make it happen. That you threw that good karma out there. I hope it comes back to you tenfold. I was holding this email to help make that last push to $10,000, so I’ll use it now to make that last push to get those of you who haven’t yet donated, a little bit of incentive to do so. This is Genre. I am writing you a note about my leukemia. I am 11 now. I feel strong now but I remember throwing up a lot. Every time they gave me medicine I would get nauseous right away. I liked the bacon at the hospital so much and I couldn’t eat it when I was sick. I got so many blood transfusions. It seemed like every time they tested my blood I would need to get more blood. The worst part was that one red blood transfusion I had to sit there for three hours. If I needed platelets it took another two hours. Sometimes I got both and it was really long. No, the WORST part is that some kids had to wait because there were not enough platelets for everyone. My friends went and donated platelets for me every week. I had to wear a mask if I went out because I could catch germs really easy and my mom didn’t want me to get even more sick. I wasn’t allowed to go many places but I always got to go to Sunday school even if I had to wear a mask. Breathing in a mask is hard. All the air gets hot. You have to wash your hands all the time when you get leukemia. There are lots of bad things but there were four good things. 1. I liked all the food at the hospital but the hot dogs. 3. Our friends helped my mom do Genre’s Kids with Cancer Fund and I think it helps a lot of families with good stuff. 4. The BEST thing about leukemia was that my mom let me play my video games as much as I wanted. Sometimes I would play them all day! I hope this helps you know more about cancer. There weren’t games when I was there a lot so I will get to play on an iPad when I get my port out. It is an operation. That will be fun. Hey, internet, go ask a kid what platelets and transfusions and medi-ports are and let me know how many of them answer correctly. What a positive attitude, because he’s looking forward to playing on an iPad while he recovers from his surgery. 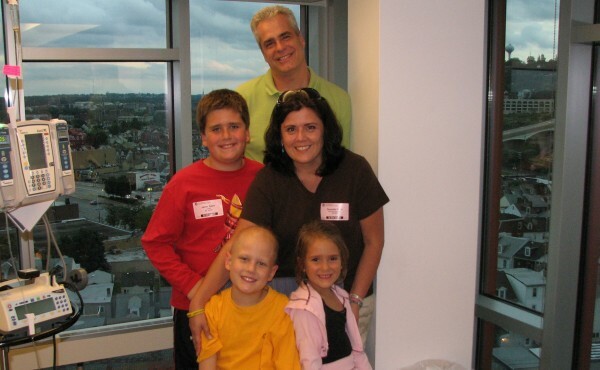 Genre, as he writes, is 11 now, and he’s nearing the end of his treatment for leukemia. He still has about seven more months of treatment to go and that means taking chemo daily, getting treatments monthly, and three more spinal taps. But, on the other hand, the closer we get to the end of this drug regimen, the harder it is to watch him put each and every pill into his mouth. On Wednesday night he takes sixteen pills. Sixteen pills. 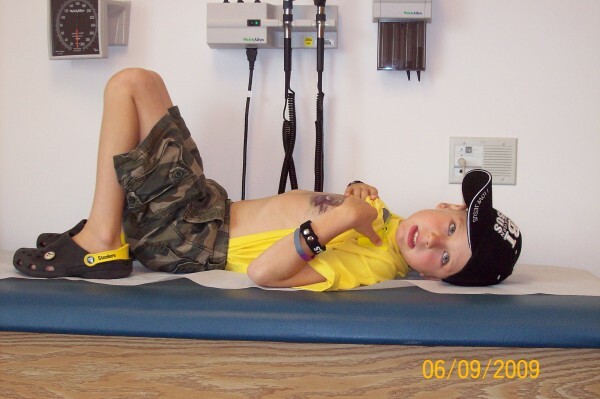 Kids who fight cancer might be the strongest humans on the planet. I’ll put my prom picture up shortly! Prepare your pointing finger and your laughing muscles for a good workout. And to each and every one of you who donated, GROUP HUG. I’ve been a platelet donor for 20 years (for several years, I went every other week) and this is exactly why. Awesome! I donated platelets for the first time last weekend. It was so neat to read Genre’s letter on how much this can impact people. Also very important: Get yourself registered (I am) as a bone marrow donor at “BE THE MATCH” or “DKMS USA” (doesn’t matter – gets all into the same database. I many cases it is the only chance to save a life. Simply fantastic. So happy to be a part of it all! Kids like Genre make my heart sing. He’s my newest hero. Also, I donate blood every quarter, and everyone who’s able to should, too. It’s a way to give back when you don’t have the money to donate. Or heck, you can do both! It feels so good to give!! Awesome! I was happy to donate. Cancer is an old enemy of mine. 8 year survivor! Now caretaker for my Mom who was just diagnosed 4 weeks ago. When I was diagnosed, my one good thought was “thank God, it was not my son.” I cannot imagine watching my child go through all of that. My son and I are now proud supporters of the American Cancer Relay for Life event–in fact I am just sewing a memory quilt from all my Relay t-shirts to auction off and raise money for our Relay for Life in May. Also, having had my son with a brief stay at Childrens Hospital in the fall (2 days and one night and two ER stays) for an acute asthma attack, I know first hand how important all the games and distractions are for the kids and their parents. Keep up the good work. ” Kids who fight cancer might be the strongest humans on the planet.” Now THAT’S Church! I really want to get my Kiwanis Club involved this year. I’ve read a few different blogs of yours about this project, and I think it’s awesome. I’m president of the Greensburg Kiwanis Club, and I want to share this with them. I think it would be awesome if you could visit us someday to talk about this project. If you’re not familiar with the Kiwanis Club, it’s their mission to serve the community, and more specifically, to serve the children in their respective communities.